Good first impressions are vital when trying to gain new business and a well designed and printed set of stationery is a must when making contact with customers by mail, corporate style and colours must be consistent across the range. 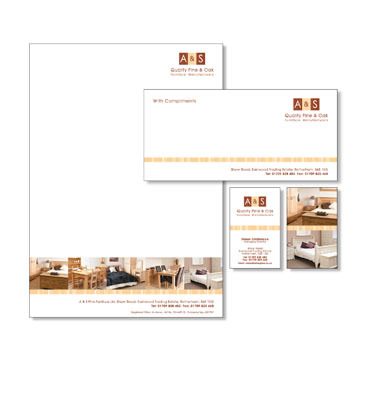 The basic stationery range, other than business forms, usually consists of A4 Letterheading, 3rd A4 (DL) With Compliments Slips with space to hand write or laser print a short message and Visiting Cards for all employees making client contact. 1000 Business cards, 300gsm, printed full colour both sides, £75. 1000 Letterheads, 90gsm, printed full colour 1 side, £95. Telephone or email for further prices and specifications.